Stunning stainless steel double pedestal base can be used with rectangular table tops up to a maximum size of 1200mm x 800mm. Available for immediate delivery in a choice of three popular heights. 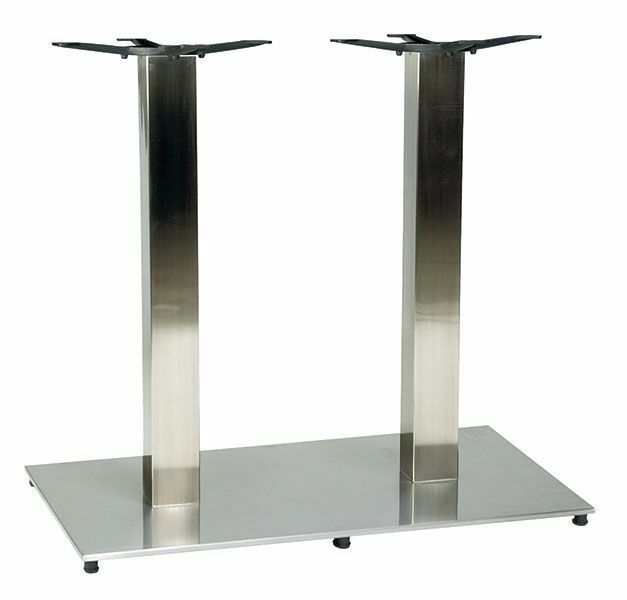 A stylish twin pedestal café table base in stainless steel for rectangular café table tops in stock for a rapid delivery. Finished ultra modern brushed stainless steel. Free delivery for United Kingdom customers.